It is important that all users comply with the terms and conditions. Crowd Source Capital Ltd reserves the right to terminate access and take down any links, information, video or image posted for any person or entity that breaches the terms of conditions or the current site policy. At Crowd Source Capital we recognise that knowing your legal rights and responsibilities is important, including when you use our services and products. We spell out those rights and responsibilities in our Terms and Conditions. We also know that legal documents can be boring and that you might not always do what you “should.” So, we’ve tried to give you the basics here. Remember, the Terms are what you are agreeing to when you sign up or use a Crowd Source Capital Services and this summary is not a substitute for reading the actual terms themselves. This notice highlights some of the Crowd Source Capital Terms , which describe in detail the terms that apply for the use of Crowd Source Capital's products, services and websites (collectively, Crowd Source Capital's "services") worldwide. You can also get more information about the legal terms for specific Crowd Source Capital services in the full agreement. Whenever you use our services it’s under the terms of a legal contract with Crowd Source Capital. We will make additional Legal Notices available to you when you sign up for the service concerned so you’ll know they apply. If you misbehave, we may terminate our agreement with you. This might result in your access to some or all of our services being disabled. We may also decide to stop providing services to you. While we don’t plan to discontinue any service, we reserve the right to. You can terminate your agreement with us at any time by closing your account for the services you use. We’ll be sorry to see you go, but you can come back anytime! Remember that when you use our services, you remain responsible for your conduct and actions, and for any content you’ve submitted to us. Generally, our services are only for you personally to use. If you want to redistribute a service, copy it, sell it or such like you’ll have to get our express permission first. It’s your responsibility to look after your account security and passwords. Activities that happen on your account are your responsibility. 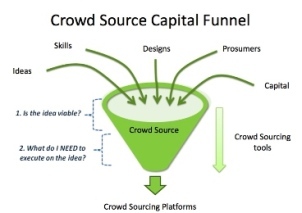 Crowd Source Capital does not assert any ownership rights in your content. What belongs to you, stays yours. We do require that you give us a licence to the content you post so that we can host it and, if you ask us to, make it available to others. Content on our services usually isn’t ours. We may not monitor what we host or link to, although in some limited cases we might. Don’t be surprised if you see something you don’t like. You can always tell us about it or stop looking. We are constantly changing and improving our services. If you’re scared of change, this isn’t the place for you. We hope that you will enjoy using our services, but we don’t make any specific promises about them being able to work wonders for you, or about their reliability or availability. 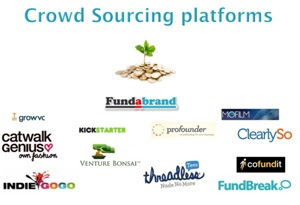 Some services are only available for Crowd Source Capital Partners. Please don’t disclose our confidential information or post it in the public domain if you as a partner have been given special access rights. Crowd Source Capital isn’t responsible for things that might happen to you as a consequence of your use of our services. Unfortunately, everything in life has some risk.